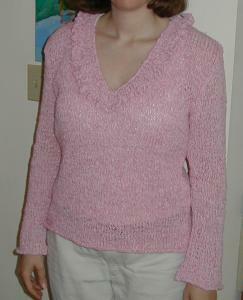 This sweater pattern is from Rebecca #17. I used their Bastia yarn, which is a mixture of cotton, linen and rayon. I just love the little frill around the neck!